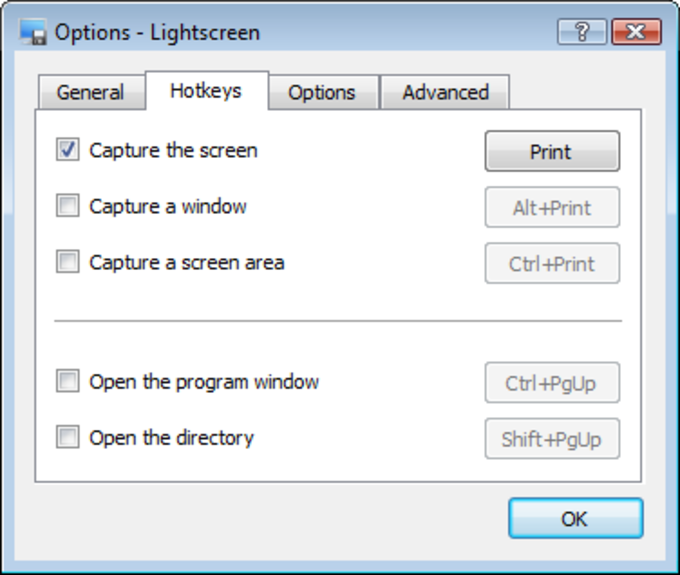 If you're looking for a quick, no-frills and lightweight program that lets you take screenshots, look no further. 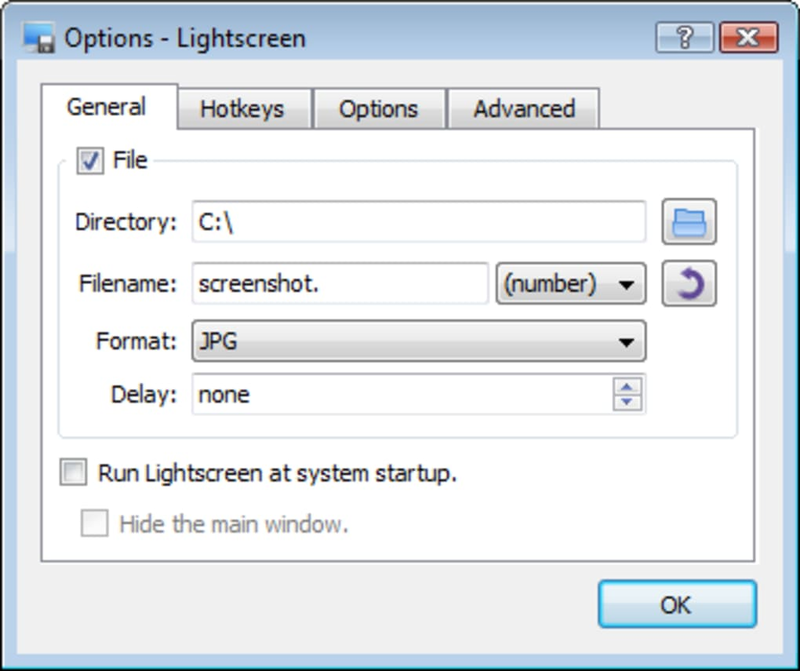 Lightscreen is a tiny application that helps you capture your screen quickly and easily. 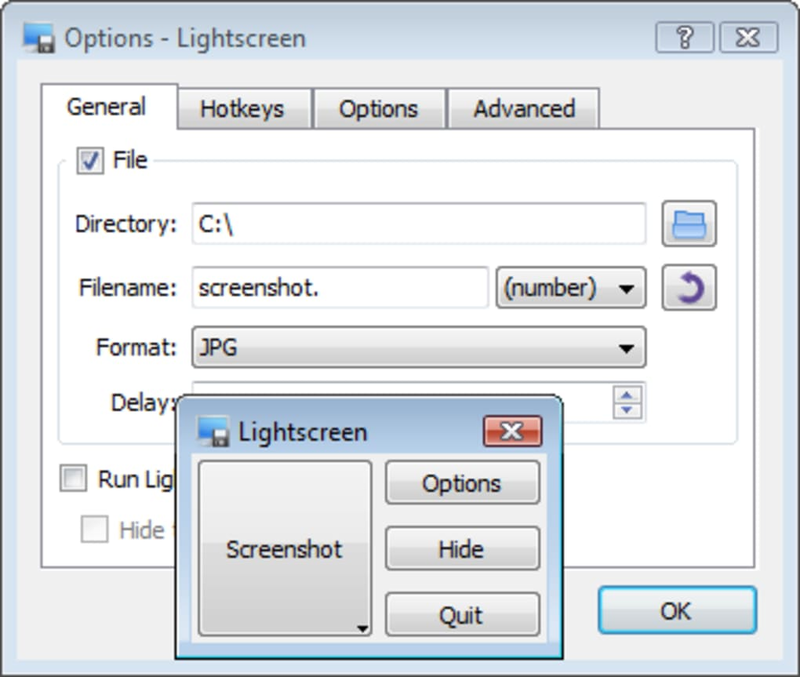 The first time you run Lightscreen you can set it up in Options, which allows you to define a target directory for images, the format (PNG, JPG or BMP), auto-naming of images, plus setting of hotkeys to make it really fast to use. The setup options are fantastic, meaning you can get Lightscreen working exactly as you like. It will run in the System Tray, and all the functions can be activated with hotkeys if you want, so it's really unobtrusive. You can choose to capture the whole screen, a selected window or a particular area. What tiny Lightscreen doesn't have is an editor - you can choose image quality, but any actual editing has to be done in another program. 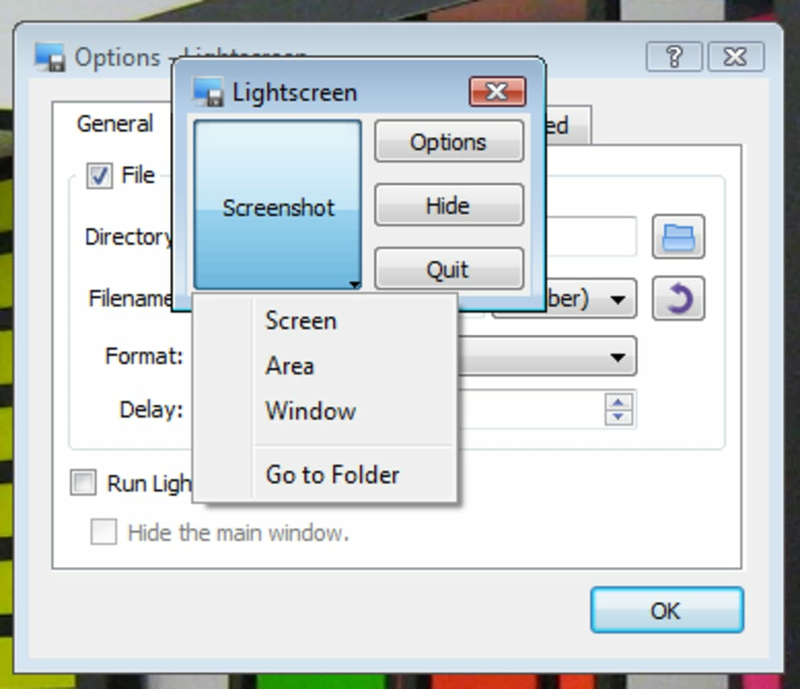 However, this keeps Lightscreen small and light on resources. 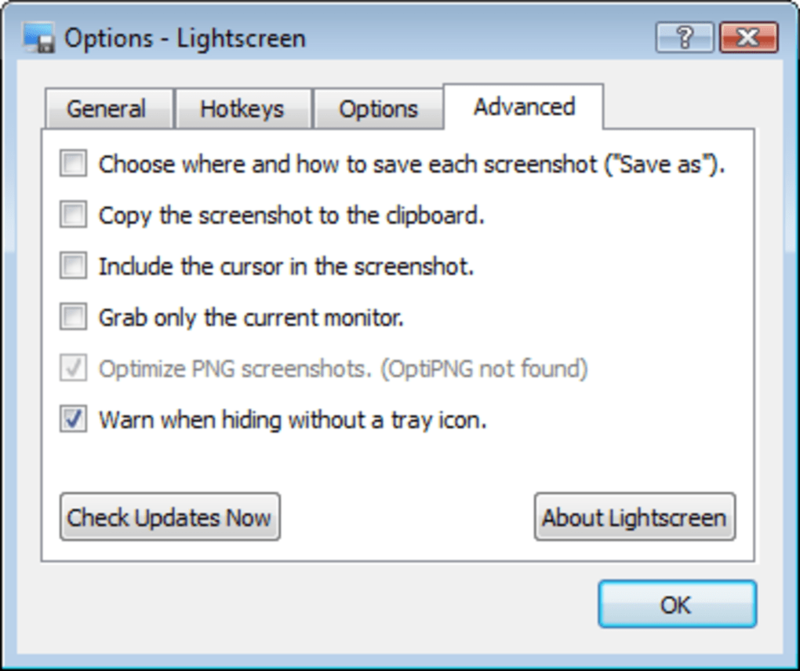 Lightscreen is a really well put together little screenshot application, offering a great mix of usability and stripped down functionality! Love this program!. This is a wonderful program, especially if people are just beginning to use the computer or are computer challenged or just want something simple. I like the simplicity of the program. Gets the job done for me, simple as pie. I would highly recommend it! Works great, files it in &quot;My Documents&quot; under a simple file of &quot;Screenshots&quot; All I have to do is open my photo program and go to my documents, click on screenshots and open it up and edit it. Very easy. In a nutshell WORKS FOR ME :) I'm glad I found it. 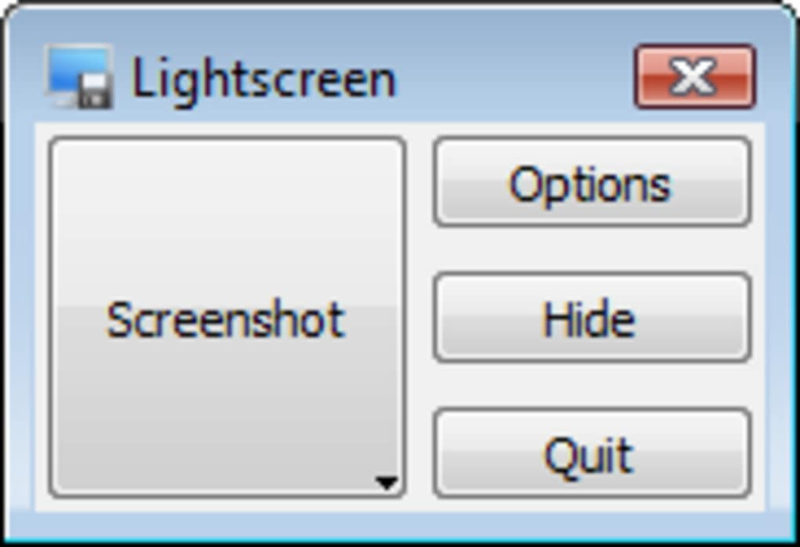 What do you think about Lightscreen? Do you recommend it? Why?